According to research, as many as 57% of Americans do not have a will and as many as 69% of parents with minor children do not have a will. Even though many individuals are familiar with the basic importance of planning ahead, many just simply cannot find a way to follow through. Most people avoid getting a will because they think it will be too complex or too expensive to hire an attorney. Thankfully, this is not true. Many people go on the other end of the spectrum and assume that they can complete a will or other essential estate planning documents on their own. This can be just as detrimental as not having a will at all because failing to comply with state requirements could mean that your will is invalid, rendering a legal battle and mass confusion after you pass away. 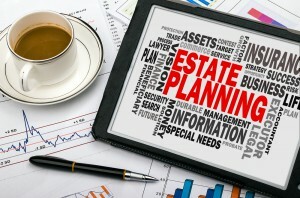 Basic estate planning tools like a will can typically be accomplished after a short meeting with a knowledgeable New Jersey estate planning attorney. Meeting with an attorney can also give you more information about other aspects of managing your estate planning that could be helpful for accomplishing your goals such as using trusts. Setting up a meeting with a New Jersey estate planning attorney can be a significant step forward for protecting your interest now and well into the future.